The film was a box office bust at the time of its release. It cost $2.8 million to make but only earned a little over $3 million. However, with its many re-releases, video releases, and television releases, its gross now exceeds $287 million. 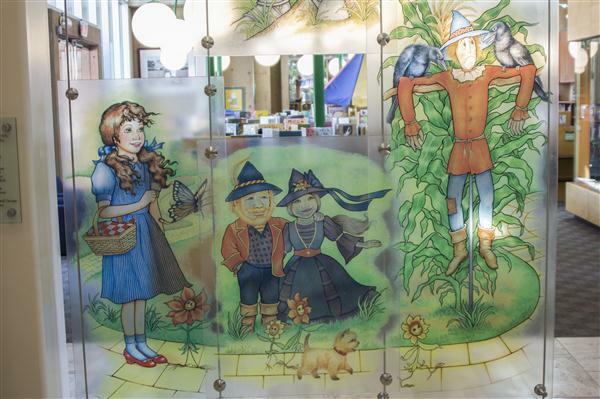 Inside the Museum of History and Art is a huge display about L. Frank Baum. The question is, Why? I’m here to give you the answer. Baum was born in Chittenango, New York, in 1856, and died in Hollywood, California, in 1919. 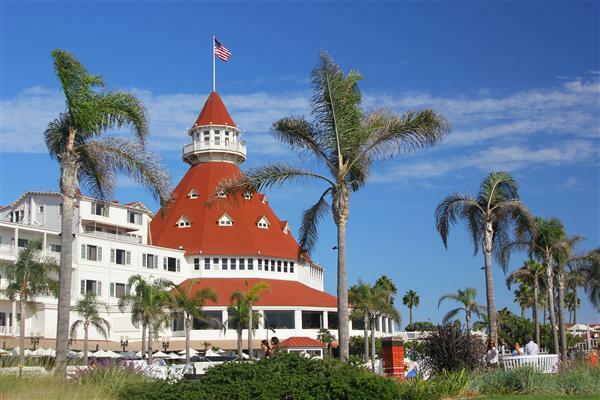 Baum discovered San Diego, Coronado, and the Hotel del Coronado sometime in the mid-1890s. He often wintered in San Diego and actually took up residence at the Hotel del Coronado from 1904 to 1910. 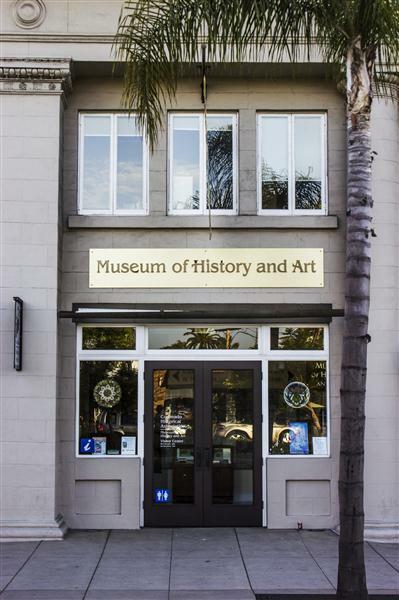 Many of the locales described in his books are right here in San Diego — the sea caves and sandstone cliffs in La Jolla, the Santa Fe train station…. Now you know where Dorothy and Toto were since they weren’t in Kansas anymore…. 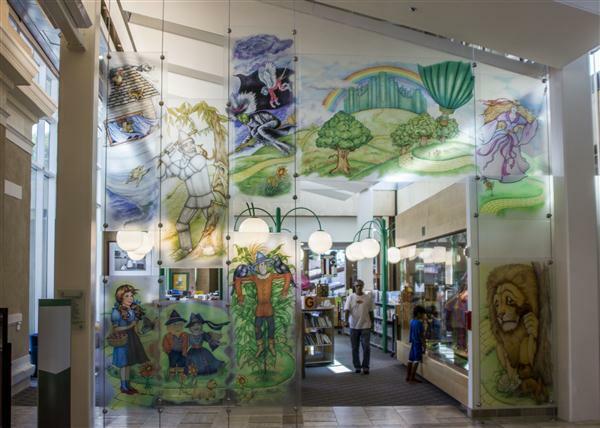 This entry was posted in Manmade, Out & About, Photos and tagged coronado public library, hotel del coronado, l. frank baum, wizard of oz on August 9, 2012 by Russel Ray Photos. This is great! 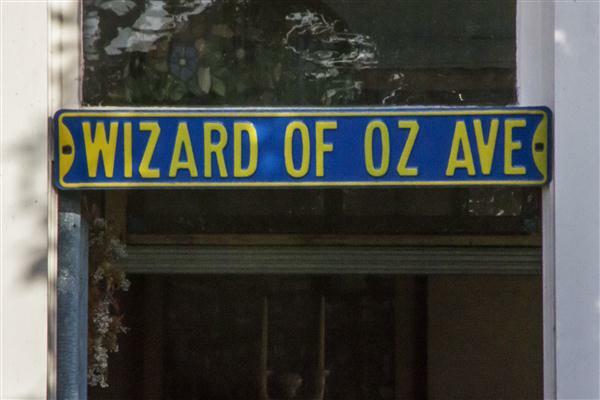 I love the story and am happy to see that there is Wizard of Oz Avenue! Very impressed with the shots of the stained glass – those lucky children. Gotta love such a classic story! I love to keep learning ~ thanks for sharing! So very interesting. “Number 1 fantasy film”! Wow, consider the competition! I think the San Diego tourism board should be paying you, btw. I don’t know if it’s just me, but I’m getting a real craving to visit S.D. Well, when you get here, let me know. I sometimes have free or discounted tickets to the Zoo, Safari Park, and SeaWorld. If I don’t I can point you to some places that do. Toto, don’t let Dorothy be too hard on herself. We just got the word that our son has reached San Diego, where he’s renting a place. Maybe he’ll turn out to have the Frank Baum experience of renting and then buying. We will be visiting him and his girlfriend on Oct. 16th. If you have any tkts for that week, perhaps you can let us know. When he buys his home, Jim will be happy to represent him as his Realtor, and I, of course, will be happy to do the home inspection. Meanwhile………. My Zoological Society annual pass expires September 30. I usually renew well before it expires because they give discounts for early renewal. It normally comes with all sorts of goodies, such as free tickets and discounted tickets to the Zoo and the Safari Park, as well as discounted tickets to Park rides, dining, and shopping. Confirm with me around 9/30 that you will be coming and I’ll reserve them for you. Also, if you need a guide, I do play Docent for a Day for those who need one. OK; we’ll be in touch then. 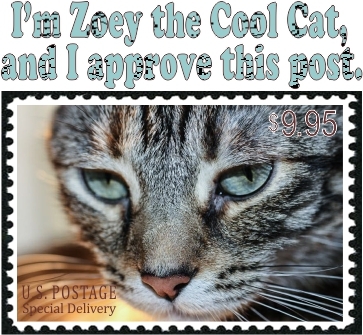 Great post, Russel. I have always loved The Wizard of Oz! 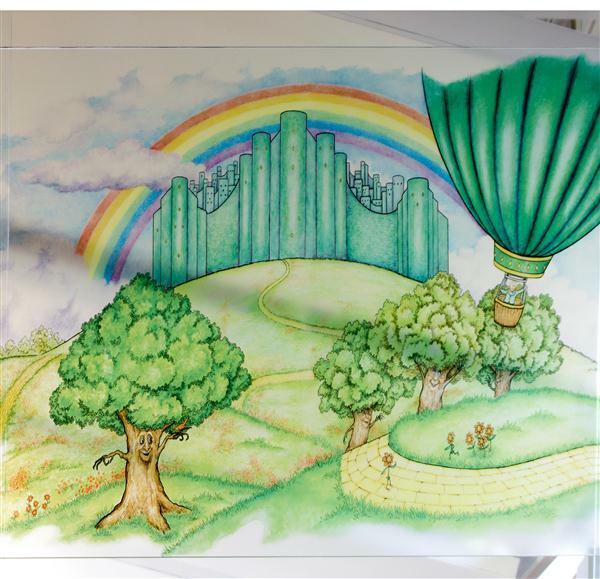 Nice pics and information about L. Frank Baum. Thank you! Thanks for the memory, Russel. The first movie I ever saw was The Wizard of Oz; I still love it aaaand … the witty sign on the door. Wonder what it’s like inside. If it ever goes up for sale and has an open house, I’m there!